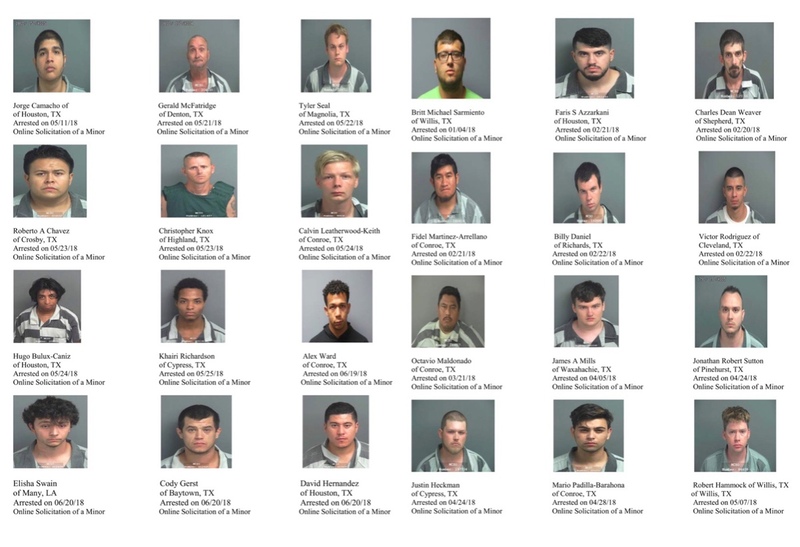 During 2018, the Montgomery County Internet Crimes Against Children Task Force (ICAC), which targets internet-based sexual predators, arrested 61 adult males who were allegedly using the internet for the sexual exploitation of children. 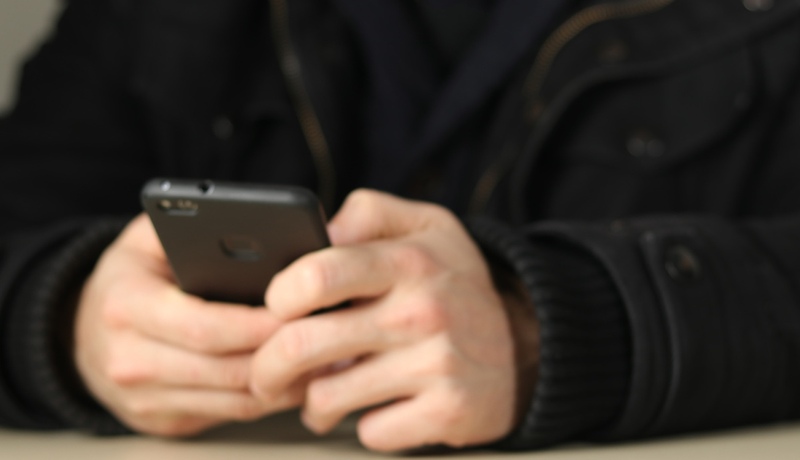 During these undercover operations, those men arrested for the felony offense of Online Solicitation of a Minor believed they were meeting up with a minor they had previously contacted online. The purpose of the meeting was to engage in sexual contact at predetermined locations. Once the suspects arrived at the meeting location, they were arrested. During the course of these operations, some of the suspects were also charged with other felony offenses as well, if such evidence was discovered during the course of the investigation. The ICAC Task Force consists of officers from the Conroe Police Department, all five of the Montgomery County Constable's offices, Texas Department of Public Safety, the Montgomery County District Attorney's Office and the Department of Homeland Security. 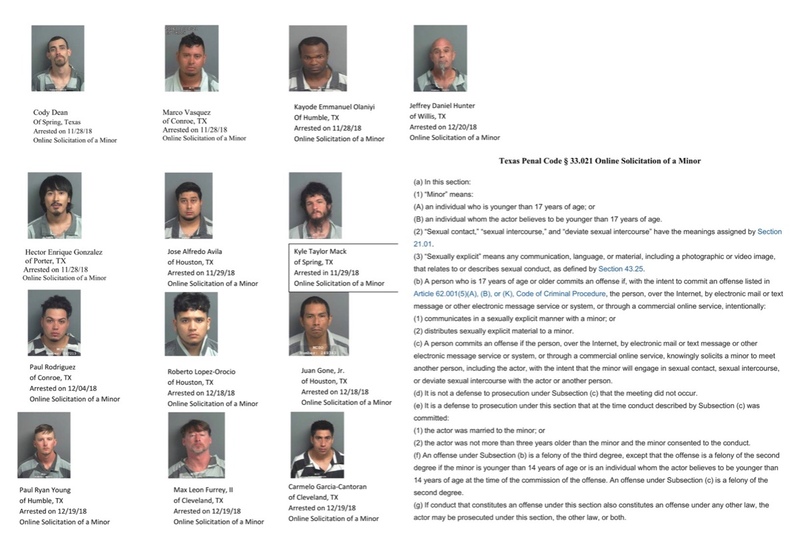 The Montgomery County ICAC Task Force asks that anyone with information concerning illegal conduct or other potential victims by these suspects or others to call the ICAC Tip Line at 936-760-6910. Heaven help us, there's an army of these perverts out there!